On November 15, 1931, despite having lost more than 400 killed and 300 wounded since November 5, General Ma declined a Japanese ultimatum to surrender Tsitsihar. On the November 17, in subzero weather, 3,500 Japanese troops, under the command of General Jiro Tamon, mounted an attack on Tsitsihar's 8,000 defenders along a five mile front on the heights of San-chien-fang south of Tangchi. Japanese cavalry charged down the Chinese front line cutting a swath into which Japanese infantry followed. Ma's right flank held at first. The Chinese cavalry tried to encircle the Japanese right flank, but were stopped by Japanese artillery and close air support. The superior Japanese firepower turned the battle. Chinese units broke and fled across the frozen steppes. On November 18, Ma evacuated Tsitsihar. By November 19, he led his troops to the east to defend Baiquan and Hailun. His forces had suffered serious casualties and their strength was now much reduced. However once Ma was forced to retire up the Nonni River valley, he managed to regroup his forces and maintain their morale. Japanese troops attempting to press Ma's men further up the Nonni River towards Koshen in the cold suffered large casualties on several occasions. At the same time the Japanese began their occupation of Tsitsihar, securing control of all three Manchurian provincial capitals. At Mukden and Kirin the Japanese had already established collaborationist Chinese governments. At Tsitsihar they established another government under pro-Japanese General Chang Chin-hui. 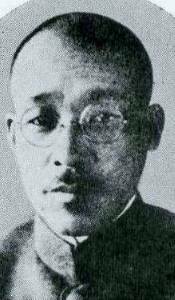 Japan also secured control of the central section of the Chinese Eastern Railway, however, the eastern section was still under the control of General Ting Chao in Harbin. Battles. Japanese last week dominated every capital of Manchurian provinces except Tsitsihar. Conflict raged in a series of short battles and hot skirmishes up & down the Nonni River and the roughly parallel Taonan-Angangki Railway. Facing Tsitsihar, the Japanese field commander, Major General Hasebe, had the sluggish river on his left, the railway on his right.